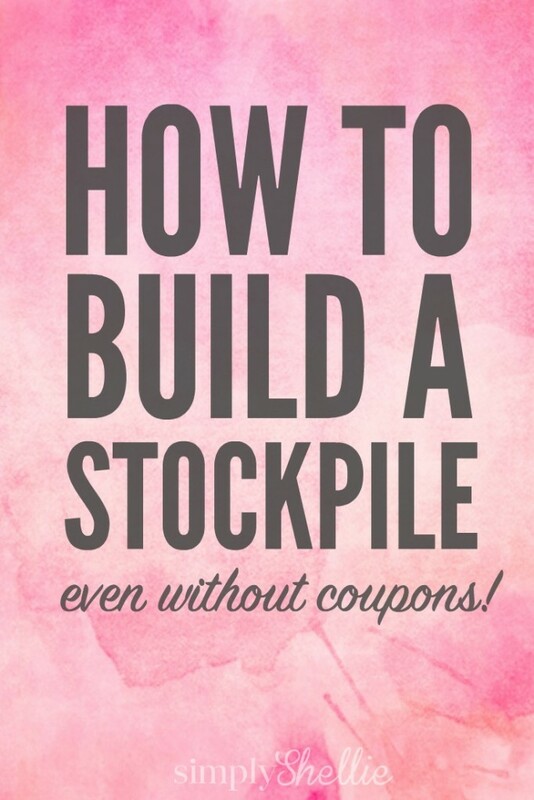 When you hear the word “stockpile” you probably think of those crazy preppers who stock up for a natural disaster or maybe the extreme couponing hoarders with a garage full of salad dressing and mouthwash. But contrary to pop culture, stockpiling doesn’t have to be extreme and it’s actually a fabulous strategy for saving money. To get started stockpiling you don’t need a binder full of coupons or a dedicated room to store your haul. You can keep it small and still save. Here is my quick, Stockpiling 101 course to help you get started: Simple Steps to Stockpiling Success. Follow these quick tips and you’ll be on your way to big savings in no time! Most grocery stores have cyclical savings periods. Product prices fluctuate each week but they typically hit a rock bottom point once in a 8-12 week period. If you learn the sales cycles and find those rock bottom prices, you can really save big buying multiple items when the price is low. For example: Cheerios cereal might be regularly priced at $2.98. One week you go to the store, you might find it on sale, 2 for $4. Another week you may spot the boxes for $2.50 and then $1.99. Then one week your store may have an in-ad coupon making Cheerios just $.99 per box. Jackpot! You found the rock bottom price. Learning these sales cycles can be tricky but my best advice is to start small. Pick 2 or 3 different items to track initially and as you become more familiar you can start adding more. Also keep in mind that store brands and premium brands (P&G, Frito-Lay, etc.) don’t see huge discounts. A savings of 25-30% is often the rock bottom price for those. When you find your item on a deep discount, grab multiple items. In my coupon classes I tell people to grab as much as they would use in an 8-12 week period or as much as they can reasonably store. In my Cheerios example above, if your family eats 1 box of cereal each week, you may want to grab 8-10 boxes of Cheerios when you find them for $.99. However, if your family eats 4 boxes of cereal each week and you have limited storage space, it probably isn’t feasible to buy 40 boxes. Just grab as much as you can reasonably store and replenish when you find another low price, even if it isn’t the rock bottom price. By purchasing multiple items when something is at it’s lowest price, you’ve saved yourself from paying full price when you run out. You can shop your pantry instead of running out to the store. Did you notice I haven’t even mentioned coupons yet? Shopping sales cycles and buying multiples is a great way to save money without using coupons. 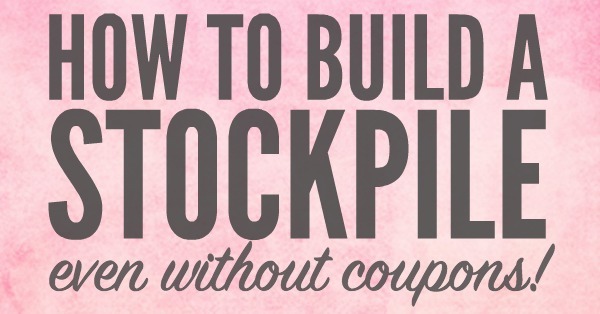 This is perfect for buying products or brands that don’t generally issue coupons. However if you do have coupons, this is an awesome way to save even more! In the Cheerios example above, what if you had some $.50 off coupons? If you waited to use your coupons until the item hit it’s rock bottom price you can save huge! So hand over 4 of those $.50 off coupons and you’ll snag 4 boxes of Cheerios for $1.96 or $.49 each. That’s a HUGE savings off the $2.98 regular price. And to think you used to just pop into the store and pay $2.98 without thinking. That’s a $10 savings if you buy 4 boxes. One of the hallmarks to success with stockpiling is to only stockpile items that you know your family likes and will actually use. If your family doesn’t really like Cheerios, don’t stockpile 10 boxes of it just because you got a good deal. This leads to waste. No matter what price you paid, if you don’t use it then it wasn’t a good deal. This also goes for things that are free. There’s no point in storing something you will never use – even if it was free. Either donate the item or skip the deal. When you are purchasing items to last a 8-12 week period you need to make sure that those items will still be good when you need to use them. Again, no matter what price you paid, it’s not a good deal if the item expires before you can use it. When purchasing, check the expiration dates. Even though I’m not purchasing more than a 12 week supply, I like to make sure the item is good well after that time, just in case I don’t use things as fast as I think I will. When replenishing your stockpile make sure you move the older items to the front and put the newer ones in the back. Rotating your stockpile ensures that you are always keeping it fresh. It’s easy to be caught up in the sales cycle and savings game that you overbuy and overstock your stockpile. But just remember, you don’t need 40 boxes of Cheerios or 30 tubes of toothpaste. These items will go on sale again in just a few weeks. If you find you didn’t buy enough, on the next sales cycle buy a little more. If you find the rock bottom price again and you still have tons, skip this sales cycle. If you find yourself dedicating an entire room to your stockpile or having custom built shelving made, you might want to call the casting department of Extreme Couponing. Building a stockpile can save your family so much money and you will never run out to the store to pay full-price again. I love that this strategy works if you use coupons or not. You can stockpile just a few of your favorite, most used products or you can slowly build a stockpile of everything your household uses. Whatever method you try, you are sure to save a bundle!